Coupon double savings, get a cheque in the mail! 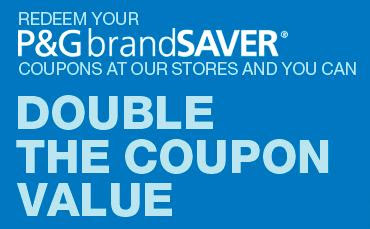 DOUBLE your P&G BrandSaver coupon savings during January when you shop at participating Loblaws stores! When you use your P&G BrandSaver coupons at participating Loblaws stores, you have the opportunity to DOUBLE your coupon savings, up to a maximum of $20! To get this extra savings, you just fill in their mail-in form from doublethesavings.ca and send it along with your dated cash register receipt (the instructions don't specify this part but it would make sense that this receipt is the one where you've used the coupon). You must circle the participating brands on your receipt. Send the the form to the address on the mail-in form. Allow 4-6 weeks for delivery of a cheque in the mail! Woohoo, nice free money! View full details and participating stores, visit doublethesavings.ca. 0 Response to "DOUBLE your P&G BrandSaver Coupon Savings During January"